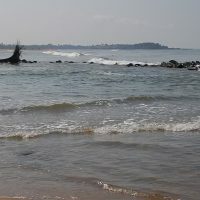 Field survey on coastal erosion and its local perception in Marawila Coast, Sri Lanka, was performed collaborating with University of East London, Yokohama National University, and CC&CRMD (Coast Conservation and Coastal Resource Management Department, Sri Lanka). We got interviewed for National Television (Rupawahini), Sri Lanka, which was broadcast nationwide in the evening on February 23. We also interviewed the head of Negombo Fishing Union on their perception of the coastal management. 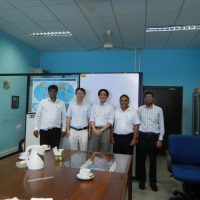 We visited University of Moratuwa on Feb 18, 2019. University of Moratuwa is a leading university in engineering, located south of Colombo and Mount Lavinia. We have been studying on coastal erosion management in Marawila collaborating with University of East London, Yokohama National University, and CC&CRMD (Coast Conservation and Coastal Resources Management Department). One of our activities was broadcasted by Sri Lankan national TV program and a professor from University of Moratuwa incidentally watched the program and contacted me. 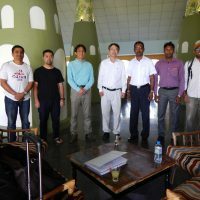 We also visited Dr. Nimal and Dr. Udeni, alumni of Yokohama National University. 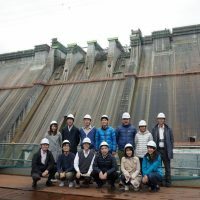 We visited Yanba Dam (under construction) in Gunma Prefecture from November 9 to 10, 2018. 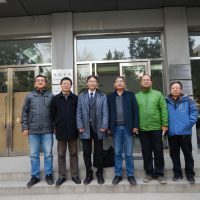 Dr. Sasaki was invited from Hohai University, and traveled to Nanjing, China from 25th to 29th October 2018. 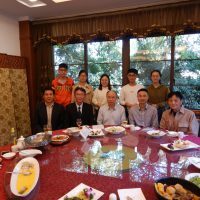 Professor Jiang Qin at Hohai University kindly hosted for a talk and international exchange. We also visited Yangzhou, which is about an hour and a half by car from Nanjing. On October 20th and 21st, Tokyo Bay Festa is being held in Yokohama. 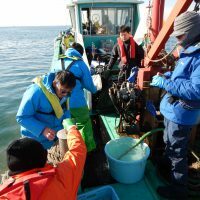 Our project team for creation of habitat under the Public-Private Cooperation Forum for Tokyo-Bay Restoration exhibit shellfishes in Tokyo Bay, quiz on Tokyo Bay, and panels showing the PT activities. 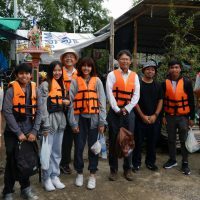 Dr. Sasaki was invited by Burapha University for delevering a lecture and performing a field survey in upper Gulf of Thailand. 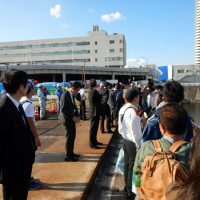 I have been involved in the long-term perspective committee meeting of Shimizu Port in Shizuoka Prefecture considering the future in the next 20 to 30 years. 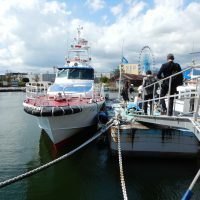 We had a trip to Shimizu Port on September 18th. The port is attractive not only the function as a port logistics, but also abundant green landscape, world heritage site of Miho-No-Matsubara associated with Mt. Fuji, fishery, energy, industry. Although the port is small, the port must attracts people because of these multiple functions.